When we look at Android powered tablets, its wise to start with Google. We’ve mentioned before about the debate that rages between integrating software and hardware like Apple verses separate hardware and software. However, Google developed Android and they also developed the Nexus 7, so this is the nearest thing to an integrated iPad style hardware/software synergy that you’re going to get. The Nexus 7 comes in at a mere £159, which gets you a 7 inch tablet with a surprisingly impressive screen and a premium overall feel. It has a deep integration of Google services (of course) and this makes it a good multimedia device. Buy the Google Nexus 7 if you’re a keen movie watcher and game player or if you’re in the market for an iPad esque tablet at a fraction of the cost. Don’t buy the Google Nexus 7 if you need a lot of storage, as it is limited in this regard and the storage is not expandable. Over the past few years Amazon have transformed themselves from an online book shop, into the World’s leading multi-department e-commerce service and again into a technology hardware manufacturer. What started with the Kindle eBook reader has led them to the Kindle Fire HD, which is a fully fledged Android powered tablet. 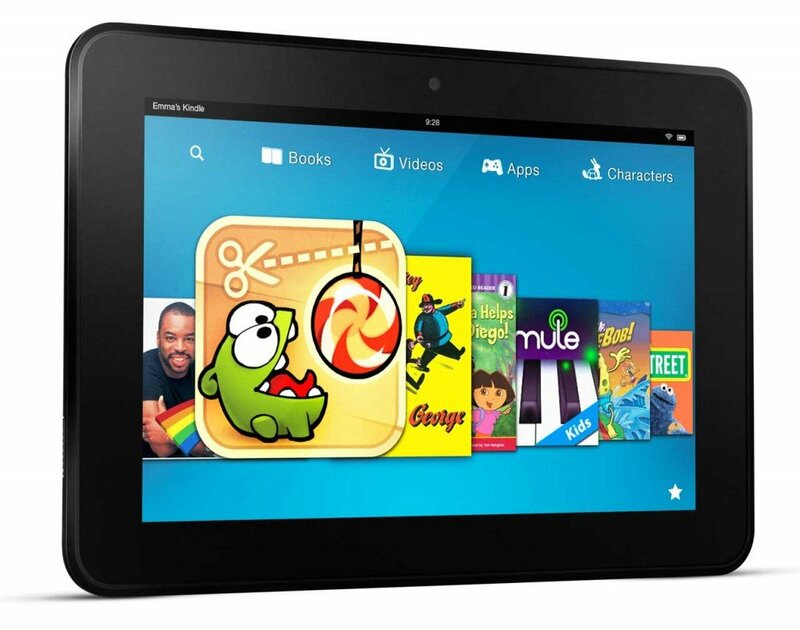 The Kindle Fire is priced at £159, meaning it’s at the exact same price point as the Google Nexus 7. Amazon have actually integrated a slightly thinned out version of the Android OS for the Fire, and this has the benefit of making it extremely user friendly. Unlike the Kindle, it has a very good screen which has pitch perfect definition. Buy the Kindle Fire HD if you want an eBook reader on steroids. Any Amazon created hardware is going to integrate deeply with multimedia that they sell, and the Fire is definitely not an exception. Costing little more than a Kindle, you get a web browsing tablet and eBook reader which makes this perfect for reading books and watching video based media too. Don’t buy the Kindle Fire HD if you’re in need of raw processing power, because the Fire is lacking in this department. This device is designed to be an eBook reader 2.0 rather than a powerhouse of a tablet. 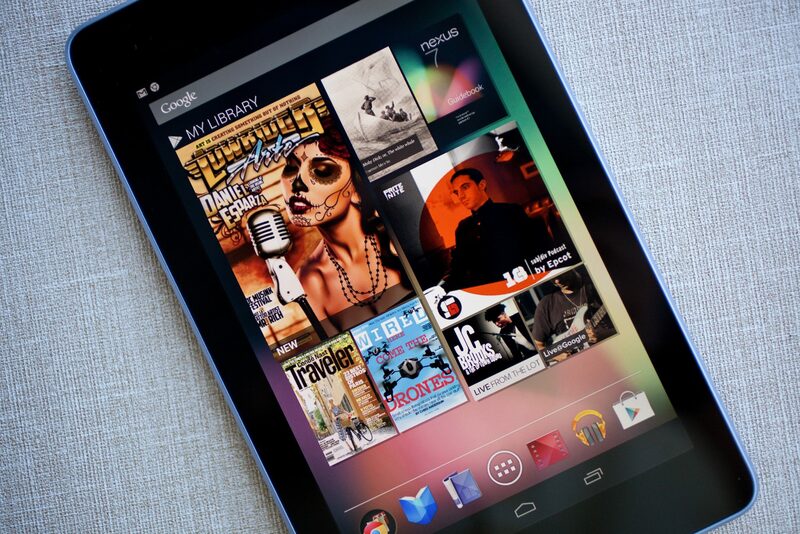 The Google Nexus 10 tablet shares a lot of features with its smaller brother, the Nexus 7. The main and most obvious point of difference here is the Nexus 10’s 10 inch HD screen. The display is renowned for being superb and it matches its younger brother for build quality and premium feel. 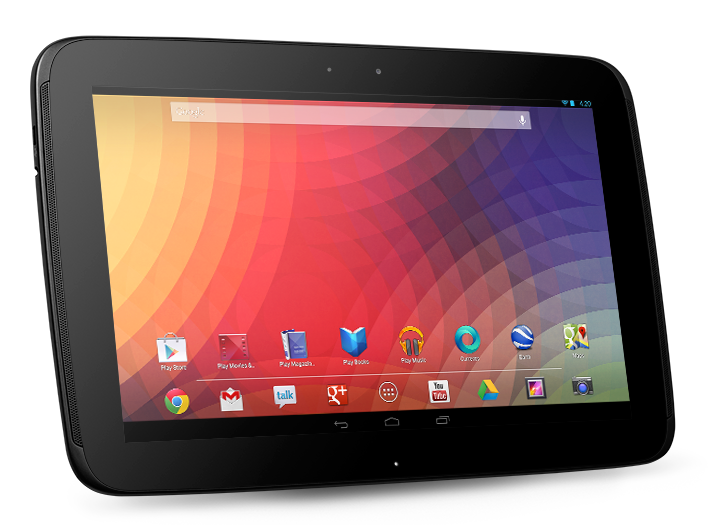 Buy the Nexus 10 if you’re after a home-based multimedia viewer and web browser. The extra 3 inches on the standard mini-tablet size makes the world of difference and places the Nexus 10 against the iPad. The extra size and the fact that this device is wifi only, meaning no 3G for your travels, makes this an ideal home tablet. Perfect for messing around on when the next terrible TV show comes on at primetime. Don’t buy the Nexus 10 if you need a tablet for the road. The lack of £G and the extra size limit its portability and general usefulness whilst on the go. At £319 for the 16GB model, we are straying into iPad 2 prices, and that gives you a serious decision to make. Tablet four on our list of the best Android tablets of 2013 so far is the ASUS Transformer pad Infinity. At £599, the ASUS certainly won’t win the bargain basement award but that certainly shouldn’t mean this super-tablet should be ignored. With masses of storage, a dedicated keyboard dock and the best HD screen in the Android tablet market today, the Transformer is an impressive offering. 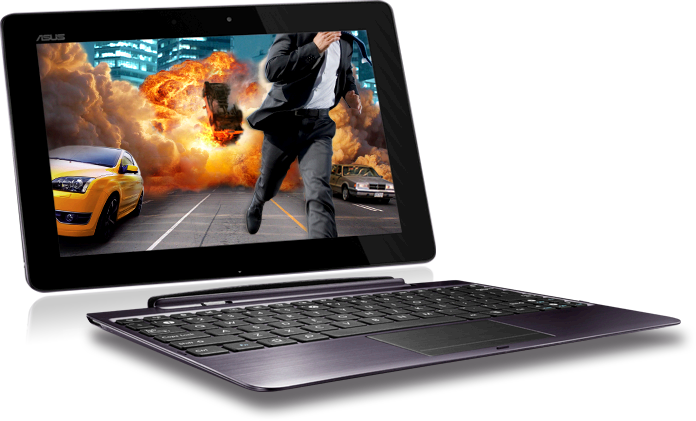 Buy the ASUS Transformer Pad Infinity if you want a work oriented tablet. The main criticism of tablets has often been that they are better media consumption devices then media creators. The ASUS, with its keyboard dock begins to change that perception. Add in the detailed storage and you could have a workplace winner. Don’t buy the ASUS Transformer Pad Infinity if you’re after super value. It’s expensive, much more so than the equivalent iPad. In fact you could purchase an Ipad and a keyboard accessory for the price of the Transformer. The ASUS offering is also short on dedicated apps, so if you’re a keen app user then the iPad may be your better bet. 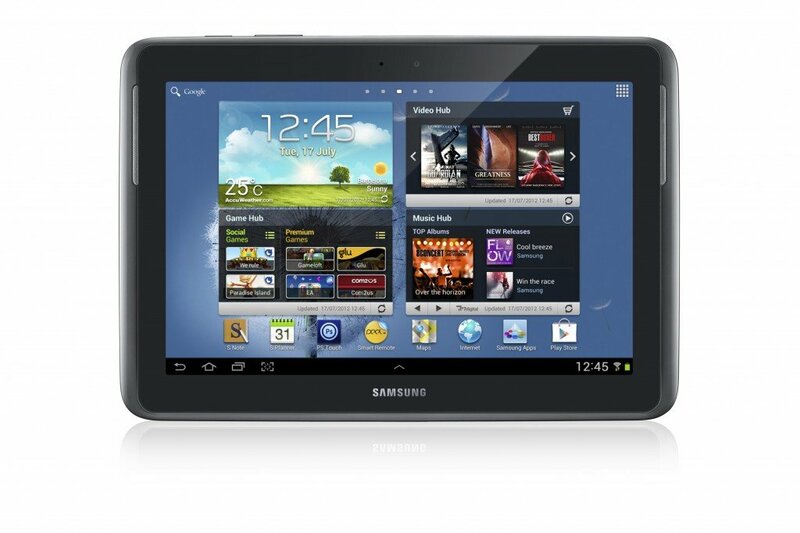 No List of the leading Android tablets of 2013 could ever be complete without mention of a Samsung model. The South Korean based tech giants have been leading the way throughout 2013, and their Galaxy Note 10.1 is our pick of the bunch of their offerings. At £375 for a 10 inch tablet, this is positioned to directly compete with the iPad 4. It’s probably fair to say that no manufacturer has gotten more out of the Android OS than Samsung, and it shows with this tablet. Samsung ally the OS with plenty of processor power, which delivers a fast and powerful user experience. They have also taken multitasking to the next level within the confines on a tablet interface. Buy the Samsung Galaxy Note 10.1 if you want a more powerful version of the iPad 4 which isn’t held back by the limitations imposed by Apple’s closed ecosystem. This really is a very powerful multi-tasking tablet that’s great for all common tablet uses. Don’t buy the Galaxy Note 10.1 if you want a cultured look and feel, as this lets Samsung down. They do so much so well, but like a lot of their devices, the Note 10.1 feels a bit cheap and it definitely lacks the finesse of the iPad. So that concludes our list of the five best android tablets of the year so far. We’ll update this list as we move through the rest of this year, especially as the critical end of third quarter period hits full flow. In the mean time, drop your comments in the form below.